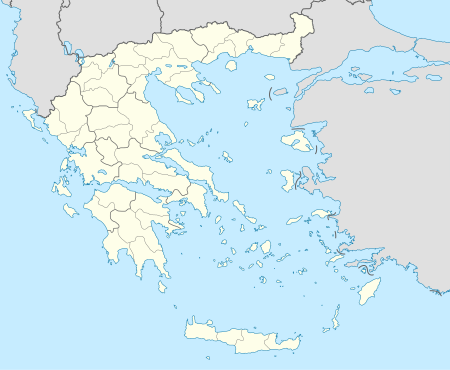 The Pan-Hellenic Women's Football Championship (Greek: Πανελλήνιο Πρωτάθλημα Γυναικών), also known as the Panelinio Protathlima or Women's Alpha Ethniki, is the highest professional women's football league in Greece. The Pan-Hellenic Women's Football Championship was founded in 1987. Prior to 1990, the championship was organised by the regional football associations. In 1990, the Hellenic Football Federation created a committee on women's football which organized the championship. In 1990 became the first organisation from the EPO which however were named test and the Greek federation him did not recognize as official organisation. The current winner as well as the most-times winner is PAOK. The 2009–10 championship is organized into one group of 7 clubs and one group of 8 clubs. In the first phase of the championship, each club in the first group plays a total of 12 matches (home and away) against the other 6 clubs in the group over 14 rounds, while each club in the second group plays a total of 14 matches (home and away) against the other 7 clubs in the group over 14 rounds. In the second phase, the top three clubs from each group with participate in a new group competition with each club playing 10 matches (home and away) against the other 5 clubs. The clubs which did not finish in the top three of their group in the first phase will be relegated to the regional competition for the 2010–11 season. From the 2010-11 season onwards, there will be no more different groups and stages. All 13 clubs will play a round robin league, so each team plays 24 matches. The champion will be the first-place finisher. The following 11 clubs are competing in the A Division during the 2018–19 season. ^ "Γυναικείο ποδόσφαιρο: Άρης-ΠΑΟΚ 0-3". thestival.gr. Retrieved 18 April 2018. ^ Πανελλήνιο Πρωτάθλημα Γυναικών 2009-2010: Πρόγραμμα-Αποτελέσματα 1ου Ομίλου (in Greek). Hellenic Football Federation. 2009-11-11. ^ Πανελλήνιο Πρωτάθλημα Γυναικών 2009-2010: Πρόγραμμα-Αποτελέσματα 2ου Ομίλου (in Greek). Hellenic Football Federation. 2009-11-11. ^ ΑΝΑΔΕΙΞΗ ΠΡΩΤΑΘΛΗΤΡΙΑΣ ΟΜΑΔΑΣ και ΥΠΟΒΙΒΑΣΜΟΣ (in Greek). Womensoccer.gr. Retrieved 2009-12-02. ^ "Greece - List of Women Champions". RSSSF. 2010. ^ Πανελλήνιο Πρωτάθλημα (in Greek). Womensoccer.gr. Retrieved 2009-12-02.